A worthwhile read and a title I'm happy to keep on my shelf. From Brian McLaren: "It's not ‘just a woman's book.’ In fact, it's the kind of book that will help both women and men see how unhelpful that distinction is." Gender roles have been debated for centuries, and now Sarah Bessey offers a clarion freedom call for all who want to realize their giftedness and potential in the kingdom of God. 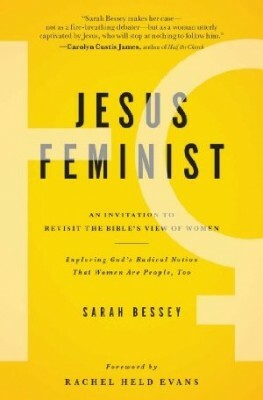 Through a thoughtful review of biblical teaching and church practices, Bessey shares how following Jesus made a feminist out of her.